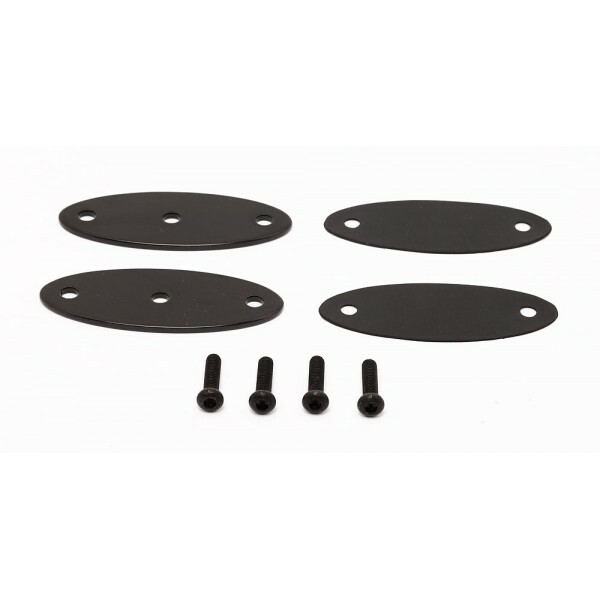 You will need sealed mirror plugs if you want to cover the mirror hole or replace the side mirrors with aftermarket mirrors. These mirror plugs bolt to the existing fixing points and are sealed like the original ones to prevent rain water go into the door. 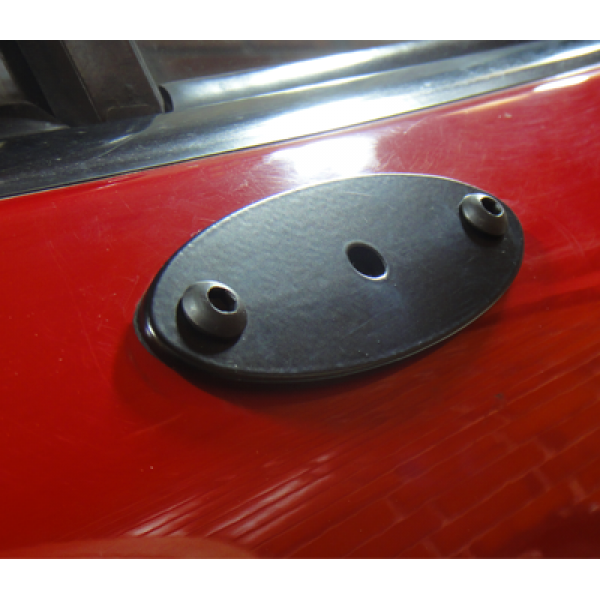 They are available with 7 mm center hole to allow mounting aftermarket side mirrors. Please keep in mind, they are not universal adapters for every aftermarket mirror and modifications to them might be needed. 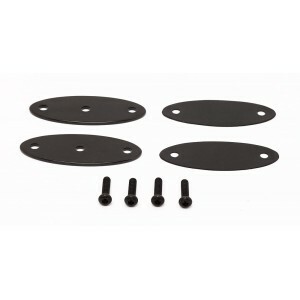 The ones offered here are black powdercoated finish (stainless plates however). No modification is needed for bolting them, as existing securing points are used.